Mike Sexton is widely known as the voice of World Poker Tour (WPT) along with Vince Van Patten. But there is far more to this poker legend than his colorful commentary. In addition to being a successful poker player, he very adeptly takes his gift for gab and entertains the masses with some fun, colorful, and completely true stories about himself, his friends, golf, and, of course, the great game of poker. 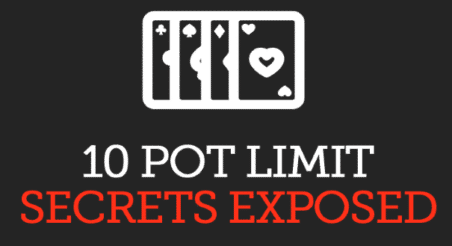 Here are ten classic Mike Sexton stories featuring Stu Ungar, Party Poker, suffering a bad beat, learning how to play golf, and the virtues of home games. Following college, Sexton enlisted in the US Army and served as a paratrooper in the 82nd Airborne Division. Following his two-year enlistment, Sexton attempted sales; however, he soon realized that poker was far more lucrative—and, undoubtedly, far more fun. So, in 1977, he switched careers and, well, the rest is history. Like any avid poker player, Sexton longed to play in the World Series of Poker (WSOP). Unfortunately, his schedule made this difficult due to Little League coaching responsibilities. So, in 1985, Sexton moved to Nevada to focus on poker and became close friends with poker legend Stu Ungar. When Ungar died tragically in 1998, Sexton eulogized his friend and was a pall-bearer at his funeral. Thus far, Sexton has amassed 15 career cashes in WPT tournaments. His largest single win was in the November 2016, WPT Montreal Main Event where he beat 648 entrants to win the nearly $318,000 prize. While this was his third WPT final table, it was his first, highly sought after, victory. Currently, Sexton is in 206th place on the WPT’s all time career rankings list with nearly $1 million in winnings. Sexton also won a WSOP bracelet at the 1989 seven-card-stud split event, and his total live tournament winnings are $5.4 million. Sexton is also very well known for promoting poker events and other services. In addition to his WPT gig, Sexton is the spokesman for the online PartyPoker.com, has written for The Gambling Times and Card Player Magazine, and founded the Tournament of Champions of Poker (now defunct.) Because of his hard work and dedication to poker, he has been dubbed “The Ambassador of Poker.” Because of this, however, Sexton is ineligible to play in some events due to certain affiliations. In 2006, Mike Sexton was heralded as Card Player Magazine’s top poker ambassador at its Player of the Year awards. That same year he won the third annual World Series of Poker Tournament of Champions by defeating Daniel Negreanu for the $1 million prize; half of which he split among five charities. In 2009, Sexton, Linda Johnson, Lisa Tenner, and Jan Fisher created the nonprofit PokerGives.org as a way for poker players to donate to charity. He was also selected to the Poker Hall of Fame in 2009. More recently, Sexton finished ninth in the Big One for One Drop WSOP tournament in which he earned $1,109,333—his biggest career cash. Note: The quickest way to start winning more money at poker is to improve your preflop skills. Grab our FREE preflop guide with 8 easy to read preflop charts by clicking here or below. The ageless 70-year-old Mike Sexton never shies away from relating anecdotes, and this master storyteller certainly has the voice to make these tales both interesting and enjoyable. In fact, in his recent book, Life’s a Gamble (2016), Sexton recounts his own personal experiences in the poker world and provides interesting and compelling true accounts about gambling, golf, and other colorful poker characters. But of course, if you want to know a Sexton story, it’s far better to listen him tell it. 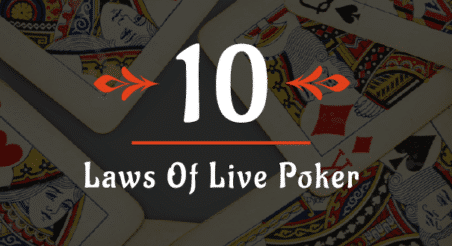 Here are ten stories that, truly, define this poker icon. This one isn’t so much a Mike Sexton story, per se, but it’s a definite must for this list. While it’s always entertaining to watch a Mike Matusow meltdown, after Sexton’s sick call—and ultimate win of this 2006 WSOP Tournament of Champions’ hand—it is Daniel Negreanu’s reaction that makes this video especially entertaining. Mike Sexton has many stories about his dear friend Ungar, and it’s apparent the esteem in which Sexton held the legend, calling him the “Bobby Fischer of poker.” This tale about Ungar’s first time at a golf course is particularly entertaining. Here’s a particularly animated retelling of why Sam Trickett will always be Mike Sexton’s hero. Here’s a fun tale on Ungar’s uncanny card-counting prowess and Bob Stupak. You can’t help but chuckle as Sexton recounts his first trip to Las Vegas and how he lost $2,000 on a golf wager between Danny Robison and Doyle Brunson. Here, Sexton recounts how Danny Robison taught him to play poker when the two were younger and how Sexton would lose all of his paper route money. What’s so great about home games? Let Mike Sexton tell you. Curious about how PartyPoker got his name? Well, wonder no longer. Watch here. This is a crazy story. I’d be bitter too and likely not nearly as good-natured as Sexton is in reminiscing. Back in the day, when PartyPoker had just launched, Sexton wasn’t aware how incredibly popular online poker would become. Even though he estimates his “loss”—of future earnings, of course—at around $500 million for selling too soon, he tells this story with his usual wit and good-naturedness. There you have it: ten of the best Mike Sexton stories straight from the source. Do you have any favorite Mike Sexton tales? Please share below. ← Fedor Holz’s Legendary Tournament Run: How Did a 22-Year-Old Kid Win $21 Million?